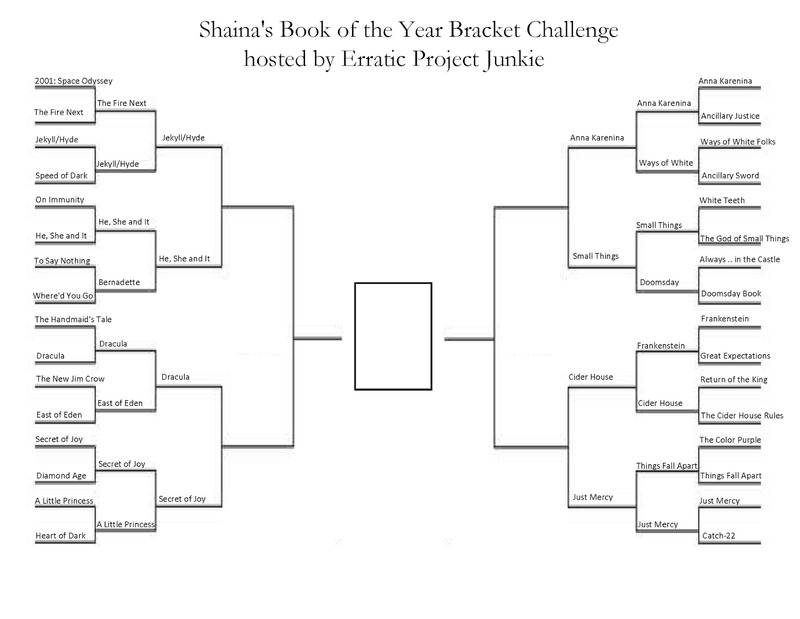 We're back with the 2014 BOTY Bracket, hosted by Elle of Erratic Project Junkie. Now to pick... eight! Easy Eight? Ethereal Eight? Oh. Elite Eight. I'm bad at sports. I meant to get this post up last night, but after getting to bed late on Friday and working most of yesterday, all I had energy for was a glass of Merlot, a plate of lasagna, and my couch with my Kindle. No regrets. As I knew it would be, this round was close to impossible, and I'm still not sure I made all the right picks. Like last time, many of the books paired against each other are so different, and I don't know any other circumstance under which I'd compare classics to non-fiction, or Alice Walker to Frances Hodgson Burnett. Such is the way of the BOTY bracket! 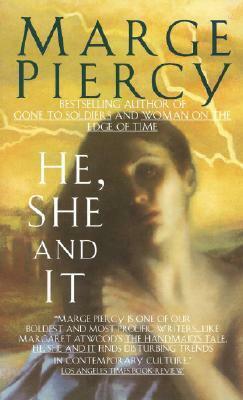 I originally began reading He, She and It as a two-person book club with a good friend of mine, both of us wanting to read more feminist sci-fi. 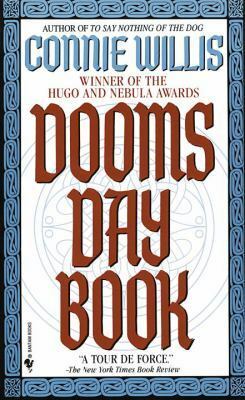 I'm not sure he ended up finishing, but I was captivated by the mix of a futuristic dystopia with the Jewish folktale of the golem of Prague. 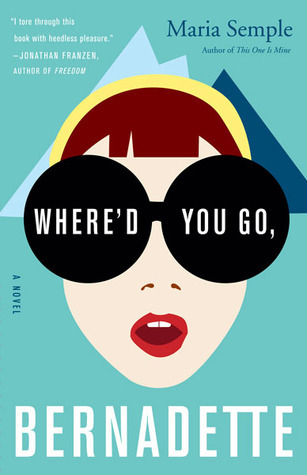 While feminism wasn't a driving force in the story, it shone through in the way Piercy unapologetically populated her book with complex, interesting female characters. Although Bernadette was a really enjoyable vacation romp, He, She and It takes the win. Ugh. 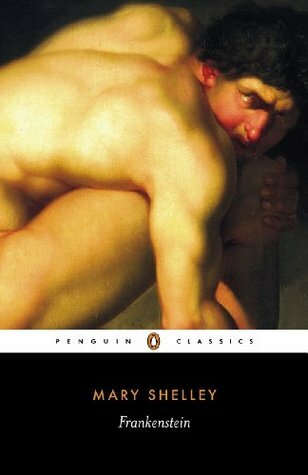 I love Frankenstein. 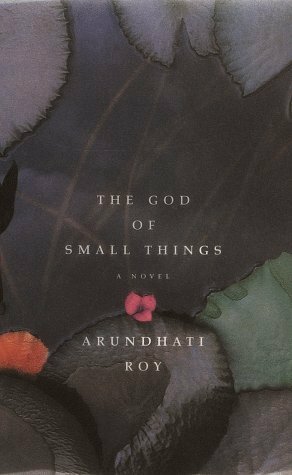 I love its exploration of identity, of the beauty and the monstrosity of mankind, and I love that it was written by an eighteen-year-old woman. What isn't to love here? (I know it isn't everyone's favorite, but y'know, my blog.) 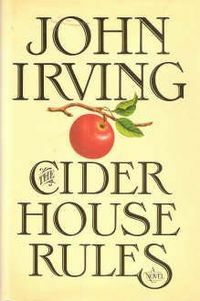 But then The Cider House Rules comes along and decides to pair off with it, and I just can't forget about how much I adored that brick of a novel, about its flawed characters and stomach-turning debates about how to define life, and the image of that bleak orphanage in St. Cloud's, surrounded by apple trees and filled with the deepest sort of sadness. I'm sorry, Dr. Frankenstein. Dr. Larch is in the house. Now off to finish off Bout of Books 12 strong and not think about picking my Final Four. Gulp. Show me your brackets! Or, rather, I'll check out yours, because you probably posted them on time. Sad to see Bernadette go, I've heard good things. But that means that now I need to check into He, She, and It! Bernadette was wonderful! Such is the nature of the BOTY bracket, though, huh? :) I'd still highly recommend both books! Bernadette is definitely the lighter read of the two. Thank you for bringing He, She and It to my attention! I'd never heard of it before. Yes, ma'am - it was really good, even though Gadi is a jerkface.